Aymara is a Native American language and one of the official languages of Peru and Bolivia. There are roughly two million Aymara speakers in Bolivia and almost three million in total in South America. 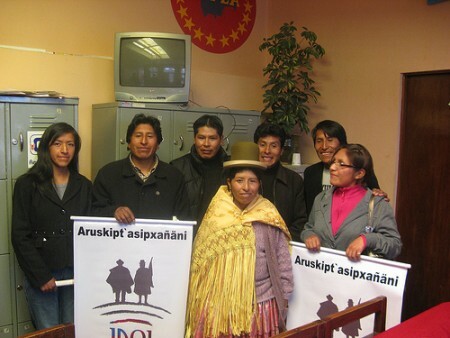 Members of Rising Voices grantee Voces Bolivianas realized that in internet there are less materials available in their mother tongue Aymara. 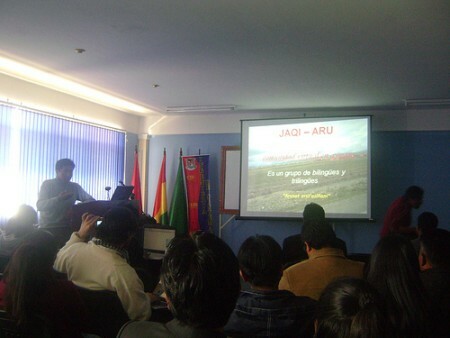 Ruben Hilary, with some local volunteers of El Alto, Bolivia, established the virtual community Jaqi Aru. 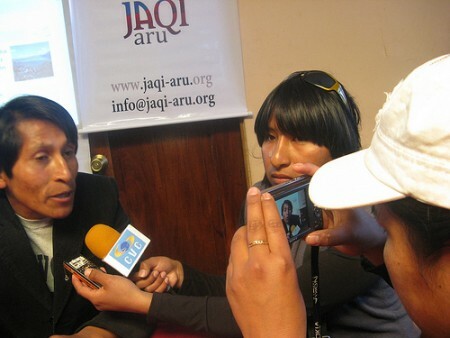 The goal of the Jaqi Aru website is highlighting and spreading Aymara language in internet through creation of digital media contents, which involves translation, use of multimedia and social media tools. Bolivia and Peru have the highest Aymara-speaking population, but Chile, with a a lot smaller Aymara-speaking population has a greater number of web pages in Aymara. There is much interest, both by Bolivian locals and diaspora. We want to show that the Aymara language is more alive than ever, which lives in the hearts of our people. That is not a dead language, it is appropriate and in constant motion. Here is a video presentation [es] by Ruben Hilare and Edwin Quispe at the Barcamp Santa Cruz. 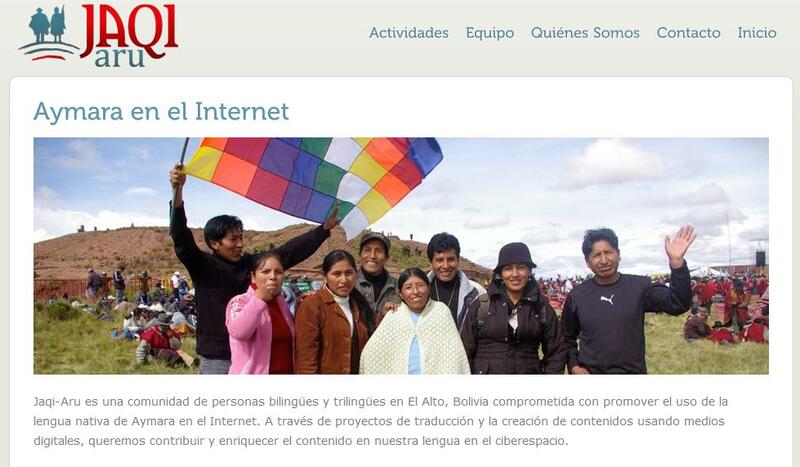 The goal of the Jaqi Aru project is to increase the presence of Aymara on the internet through 5 main activities, one of which is translations for the Lingua project site Global Voices in Aymara. Volunteers have been translating articles from Global Voices in Spanish for the past 7 months. 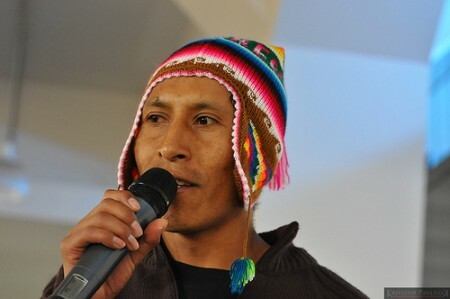 In addition, the group has a collective blog site, uses web 2.0 tools like Facebook, Flickr, and YouTube, has been learning to subtitle videos on the platform DotSub, and has been starting to participate in the Wikipedia in Aymara community. Q. What are the Aymara young people writing about? Most of the members of the Jaqi Aru project live in the city of El Alto, which is a city comprised of migrants from the Altiplano. Some have moved to the city as young adults, others as children, and still others were born in the city. However, everyone has relatives in their communities of origin. Often they return home for festivities or to visit relatives, and they often write about their communities. There are some amazing pictures taken by some of the members that tourists or other Bolivians do not have access to, and that is reflected in the group blog. Walikipuniwa, taqiniruw Bélgica markatpach jallallt’anipxsma. Ukhamaraki, jilata Ruben jumas ch’amanchaskakim. For English speaking population, this site is the better contribution for learning and knowing Aymara, that it is a scientific language too, in my opinion. Walikpun aka tamarux ch’amañcht’aniwaytax khaysa kawkhantix jikxatasta uka tuqitpacha. Jumasa jawillt’atarakitawa, chiqpachanxa kuntix yatichawayapkista uka ch’amampiw sarantayataski aka JAQI ARU amuyuxa. thansk for supporting with writing and translations about Jaqi Aru all friends. Actually Aymara has more than 5 million speakers (including Aymara people who just understand and donot speak) spread out over the world. absolutely, as aymara young people we are doing many efforts to let know world the good things about Aymara.